I. Am. Exhausted! I have been go-go-going non-stop this week. And today was my JL's American Girl fashion show (So totally adorable by the way- if you have a little girl, go. And if you don't, steal one for the day!) so I have been smiling and talking since 9AM. Then I had another (much longer than expected) meeting for sorority planning stuff. Then I met up with my dad briefly, walked Sadie, and talked to half my town. I'm tuckered out! I still have more work to do for tomorrow's big sorority meeting though. And I have to exercise. I didn't exercise yesterday (had every good intention but time literally ran out on me- it has just been one of those kinds of crazy weeks) and could feel the difference. Turns out I feel better when I at least do a little pilates video. Fancy that! But what I really want to do is curl up under my covers with a trashy magazine and just not move. So I am not letting myself go near my bedroom until I finish my "homework" or I will be a goner. I have no willpower. But anyway, the American Girl thing was fabu! I so want to be 10 again!! When I was little there were only three girls. Now there are tons. Did you know that they "retired" Samantha? She was still part of the fashion show though. Not sure how that all works but I will soon learn. I volunteered to co-chair the event next year (insert Bestie and B(that stands for Bench) rolling their eyes and yelling at me to stop volunteering for stuff). I'm actually pretty excited about it- something different and fun (I hope!). OK....off to figure out my paperwork for tomorrow's meeting, work out and grab some dinner at some point too. I promise next week is far less hectic for me so I will hopefully be a better blogger. My league had the am girl gig last weekend. Wasn't my committee, but my friends agree - it's CRAZY ! The girls have so much fun and am girl is such a positive influence and a good role model. How fun! 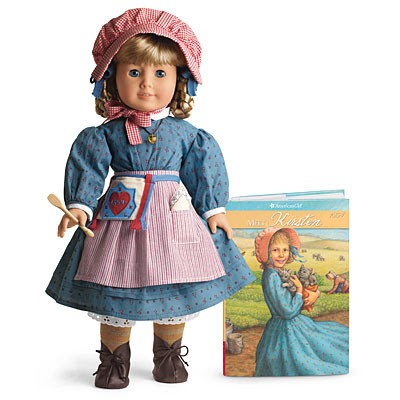 My friend worked at American Girl one summer and I loved visiting and checking out the dolls! They retired Samantha!?!? She was my FAVORITE! Ok so I *guess* that means you're not moving anytime soon if you volunteered for something a whole year out! Boooo! Hope you get some time to chill today! It sounds like it was loads of fun, good for you on volunteering to co-chair it next year! My DD love AM! She does not have one yet but someday we hope to get her one. :) To go to and AM event would be so fun for her. Lucky you!! Awww, I love American Girl. I had Felicity and adored her! I love American girls! I had Samantha, Felicity, and a girl of today that I named Cameron. I love love love American girls and I hope I have a daughter one day to pass it down to. I was AG obsessed when I was little. Then was I was in college I was lucky enough to become very close friends with a boy whose mother is president of the company. Molly and Felicity are my favorites! I Scream, You Scream, We All Scream For Lilly! !